Mercedes production and supply chain chief Markus Schaefer: "With more than 30 vehicle derivatives ... the complexity is immense." SPEYER, Germany -- Mercedes-Benz aims to reduce its logistics costs by about 20 percent per vehicle as the company invests hundreds of millions of euros in a global reorganization of its supply chain network. The automaker has increased production outside of its German home over the past decade but many of the components used in its cars are still sourced from Europe. This increasingly stretches its supply chain because of the distances the parts have to travel, placing a bigger strain on a system that is already trying to cope with record demand. Logistics is a "very significant" cost position, according to Mercedes production and supply chain boss Markus Schaefer, who said supply chain costs can exceed manufacturing costs in some of the division's lower-wage plants. "With more than 30 vehicle derivatives each built from several thousand parts, the complexity is immense," Schaefer told reporters in Speyer, Germany, where the carmaker recently opened a 90 million euro ($98 million) consolidation center. Here, components from European suppliers will be consolidated and repacked more efficiently for shipping abroad to Mercedes plants in China, the U.S. and South Africa. Mercedes may establish similar centers in growth regions such as China and North America, the company said in a statement. Mercedes vehicles and cars for its Smart small-car brand, along with engines and components, are built in 26 factories worldwide including production at partners such as Renault, Magna Steyr and Valmet. The automaker employs 7,500 people in its supply chain operations. Delivering the right part to the right factory at the right time and in the right place on the assembly line is an increasing challenge, especially when the company must ensure that inventories are lean to control costs but not too lean that the supply chain risks tearing. Intelligently networking plants with the help of the latest in information technology, such as real-time, radio signal-based tools, will play a major role in generating savings and boosting productivity. Mercedes launched a pilot program at its plant in Hungary that uses automated transport systems to bring pre-sorted boxes of components to the assembly line. To achieve its aim of being the leading luxury carmaker by 2020, Mercedes plans to boost its operating profit margin in the midterm to 10 percent. In the first quarter it increased its return on sales by 2.4 percentage points to 9.4 percent. The division still lags its rivals' profitability, with BMW's car business achieving 9.5 percent during the quarter while Audi's was 9.7 percent. To close the gap, Schaefer has reorganized the Mercedes car production network in the past 12 months, eliminating the role of plant director in favor of global, architecture-based clusters that boost flexibility. Now there is one global manager in charge of all compact cars manufactured in Germany, Hungary and China underpinned by the MFA architecture, for example. Mercedes says this will help the company to manage 11 production ramp-ups on six sites this year alone, while ensuring quality control at its own factories and those of its 1,500 suppliers. One of Mercedes' biggest problems is simply meeting demand. Mercedes brand sales increased 15 percent in the first half to 900,000 cars, the highest six-month volume to date. By 2020, Mercedes aims to launch 10 new models that previously were not in its model line. Separately, it will also out roll out a plug-in hybrid every four months on average by 2017. As a result, thousands of trucks move parts back and forth every day within the production network of the carmaker. "If we lined up out all the shipping containers we used to export goods from Germany, they would stretch from Stuttgart to Lake Garda [in northern Italy]. Based on our current growth plan, however, by 2020 this chain would reach all the way to Sicily," Schaefer said. 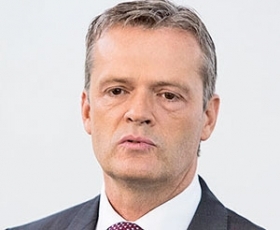 By intelligently restructuring logistics, Schaefer said that customers outside Europe in particular would be able to benefit from the increased flexibility because orders for cars such as the S class that are built in Germany previously would have to be frozen weeks in advance.